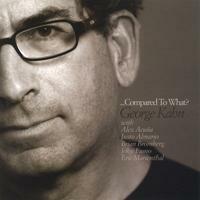 George Kahn: ...Compared to What? This crisp, well-crafted, straight-ahead (mostly) set opens auspiciously, with tenor saxophonist Justo Almario wandering into the studio blowing solo, wailing, strolling around seemingly aimlessly; but you can feel there's a method to his melodic madness. 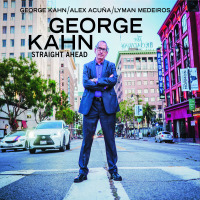 About a minute later the bass throbs in behind him with repeated two note statements, followed by the drums, and finally the leader, George Kahn, appears, and the tune gels into the familiar "On Green Dolphin Street," in a finely focused up-tempo mode. Kahn says playing a solo in front of this bandtenor and trumpet in front of a rhythm section, mostlyis like driving a well-tuned Ferrari, and that's a pretty apt comparison for this sound: clean, synchronized, and lightly lubricated for an effortless forward momentum provided by the drive train/rhythm section. "Mercedes the Lady" introduces Latin sounds. Kahn is adept in an array of styles here. "Compared to What" proves itself a funkier, harder-driving version of the Les McCann/Eddie Harris hit from '68, featuring vocalist Courtney Lemmon, whose soulful take on the lyrics show them to be as relevant in these turbulent times as they were in the late sixties. "5 to Get Ready 10 to Go" has a Kind of Blue -ish feel, with some marvelous mute work by trumpeter John Fumo. Saxophonist Eric Marienthal sits in on two tunes. His tone, sharp and stinging, always brings a modern edge to the sound. I've loved his playing ever since I first heard it in Chick Corea's Elektric Band's Inside Out (GRP, '90); and he doesn't disappoint here. He just cooks, with a clean, high heat on "Too Much Sax," adding some fire to the title tune as well. An excellent set, with different styles deftly mixed and held together by the stellar rhythm team behind a bunch of spirited blowing. The title tune alone is worth the price of admission, but then so are all the others. 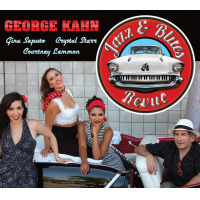 Kahn, piano; Alex Acuna, drums and percussion; and Brian Bromberg, bass: they've got to put out a trio set sometime. 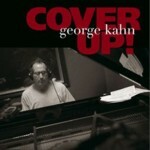 Visit George Kahn on the web. 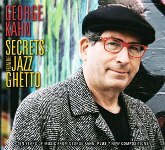 George Kahn CD/LP/Track Review Dan McClenaghan Playing Records United States ...Compared to What?